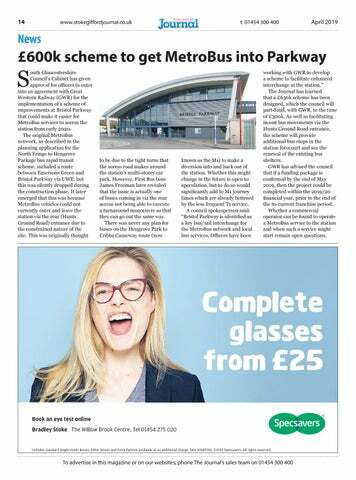 working with GWR to develop a scheme to facilitate enhanced interchange at the station.” The Journal has learned that a £650k scheme has been designed, which the council will part-fund, with GWR, to the tune of £300k. As well as facilitating in-out bus movements via the Hunts Ground Road entrance, the scheme will provide additional bus stops in the station forecourt and see the renewal of the existing bus shelters. GWR has advised the council that if a funding package is confirmed by the end of May 2019, then the project could be completed within the 2019/20 financial year, prior to the end of the its current franchise period. Whether a commercial operator can be found to operate a MetroBus service to the station and when such a service might start remain open questions. 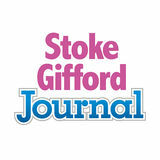 April 2019 issue of the Stoke Gifford Journal news magazine.